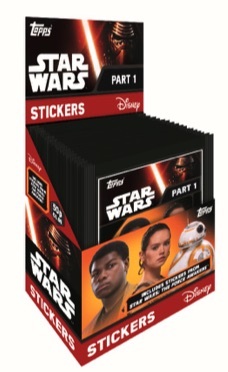 Showing that the force remains strong with collectors, 2016 Topps Star Wars The Force Awakens Stickers is another option centered around the blockbuster movie. The entry-level product is geared to causal Star Wars fans and collectors alike with a moderate base set. Featuring a total of 292 cards, the base set covers the man characters and plot points from Star Wars: The Force Awakens. There are also shiny foils found within the base set. Special TFA albums provide an easy way to track and store the stickers. Offering an inexpensive way to collect the many subjects in the film, several retail formats are available to collectors. Sealed albums include 64 pages and 36 added stickers for $5.99 while there are also loose 64-page albums for $1.99. Basic five-sticker packs will retail for $1 each and come 50 to each display box. 2015 Topps Journey To Star Wars The Force Awakens Sticker Card S-18 Yoda RARE! 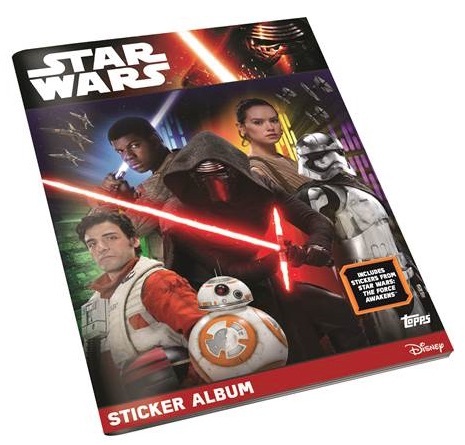 TOPPS STAR WARS THE FORCE AWAKENS 64 PAGE STICKER COLLECTOR ALBUM - IN STOCK! 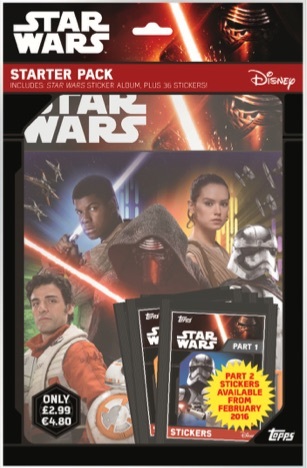 TOPPS STAR WARS THE FORCE AWAKENS STICKER ALBUM PLUS 36 STICKERS - IN STOCK! 292 cards. Specific sticker types noted below.